Now a days when we think Pinot Noir, we don’t know what to think. I used to think of Pinot Noir as light bodied, high acidity and silky. Lately Pinot Noir is tasting more like Syrah. So when I decided to put Pinot Noir through the Vinturi Challenge I had to choose particular style. I choose to do two Pinot Noirs side by side. One from Burgundy and one from California. Both are leaner and on the lighter style of Pinot. Down the road I will re-visit Pinot Noir which is big and ripe. Sorry Mr. Vinturi, the judges did not pick you for this style of Pinot Noir. They all agreed that the Marsannay was more aromatic when it went through the Vinturi. However, on the palate the fruit was decimated . The red cherry and cranberry aromas became tart and astringent on the palate. The tannins were more prominent, which I thought was strange. The Russian River Pinot Noir’s aromas were spicy and peppery, yet fruity on the palate. The wine was not bad, but it was not great either. It was very plain. 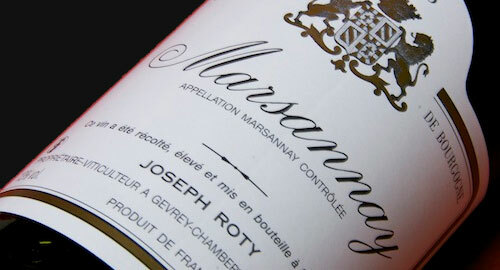 The Joseph Roty Marsannay was a bit closed off when it was poured from the bottle. It was not as aromatic as the Vinturi, however, on the palate the fruit was expressive, the tannins silky, and the acidity lingered. It was not astringent, but mouth-watering. When poured from the bottle, the Trione Pinot Noir was less spicy and more fruity on the nose. The flavors were of tart red fruits, the tannins were silky and the acidity was bright and lively. Two judges agreed that Pinot Noirs were best when poured straight from the bottle. Out of the four judges, two others preferred Pinot Noir from the decanter. The aromas of the Marsannay were a mixture of earth, turned potting soil and red fruit. The tannins were soft and the fruit showed very well on the palate. The best part was that the acidity provided structure and did not ruin the wine as in the Vinturi. The Trione Pinot was a bit more closed off on the nose, but the fruit was juicy and pure on the palate. The wine was silky and the finish lingered longer than from the bottle or Vinturi. 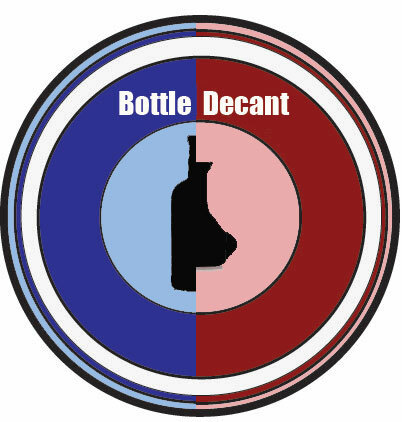 Challenge Pinot Noir version 1 has come to an end…and we have another split decision! Ahh, you are too kind. It’s hard work…but someone’s got to do it. MAY I KNOW, HOW LONG U HAVE BEEN IN THE WINE BUSINESS BEFORE I MAKE ANY COMMENTS ???. Certainly, I’ve been in the restaurant business since I started working at 16, that’s 25 years ago. However I did not start to take wine seriously until maybe 1998 when I started to traveling. Not sure it matters, but love to hear your comments.